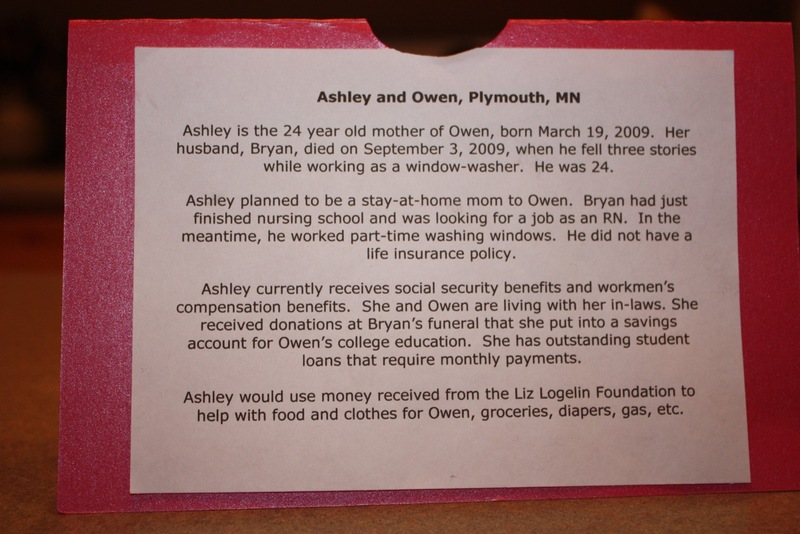 A guest post from a recent grant recipient, Ashley P.
my world still came crumbling down. But, no matter what I did to try to make my life perfect… to try to make my life normal… it still disintegrated right in front of me on September 3, 2009 at roughly 3pm. I wake up every morning thinking that each day is going to be better than the last. Most days… I can make it through my day okay. But, lately it seems like I am constantly reminded about how tough my life really is. Every time I go to my mailbox I am terrified to open my mail. I have health insurance… I don’t have health insurance. I will receive social security… I won’t receive social security. I get a workmen’s comp check… I don’t get a workmen’s comp check. 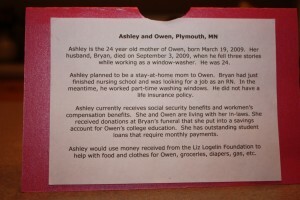 This past week, when I got my mail… I found out that I had lost my health insurance and most of my monthly income. Let’s just say I have had a few meltdowns. HOW IN THE HELL AM I GOING TO SURVIVE? Why is it that even though I did everything right… I feel like the scum of the Earth… the lowest of the lows. Why is it that I cannot make it work? Why is it that I feel like such a failure? Why did I try so hard if I was just going to end up struggling and being so stuck? Why me… I did not want to raise my son this way? Amidst my breakdown and my loss of self-worth… something happened this week that made me feel like everything was going to be okay… Like someone was looking out for us. It is on days like today that I am reminded… no matter how tough your situation is… you will make it through… you will survive. On Thursday morning… the same day that I had just finished draining out my savings account… I received a letter from the Liz Logelin Foundation. I thought that it was going to be a simple thank you letter for attending their event this past September… but when I opened the envelope, I was brought to tears. Enclosed was a beautiful letter and a $3,000 check. 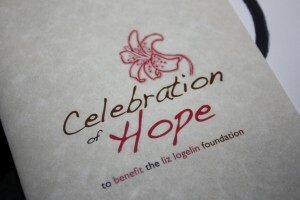 The Liz Logelin Foundation decided to sponsor Owen and I for the month of November 2010. I WAS GOING TO BE OK! WE WERE GOING TO BE OK! Because of generous gifts from multiple donors and the amazing Liz Logelin Organization, Owen and I are going to be financially ok again for a little while. I went from not knowing how I was going to pay rent in December … to having enough money for the next few months. All of my prayers were answered at the most opportune time. I feel like it is during times like these that we realize the importance of hope. Although I have had a really rough year and a half I know that someone is looking out for Owen and me. I know that we are going to make it… that we are going to be ok. I am happy you have hope. Life can just give you everything but also take it all away. Everyone has their own struggles and not everyone makes it because it hard to look at the next day without know what might happen will I have a home? will I have food? but, all you can do is hope you’ll catch a break in all the madness…you take care of yourself and congratulations you deserve it 🙂 stay hopeful…. Your story gave me the chills. I hope you know that despite that pain of it all, you are on the minds of some really good people and they’re working in your behalf (for example, Matt and the LLF board of directors). Even people you don’t know are praying for you and thinking about you. Thank you so much for your example of hope and perseverance. In that way alone, you are helping others. Hugs and hope to you and your beautiful boy! I cannot imagine how you feel. Your story is touching me so. I will think good thoughts for you and your wonderful son. Good things do happen. I see it everyday, my path is different, but on dark days a good one comes my way. Warm Hugs to you and your son. Hi Ashley, I just finished reading Matt’s book Two Kisses for Maddie. So inspiring!! I was looking around on his website and wanted to read more about the foundation. I read your story and realized…I worked with your father in law. I remember getting an email the day your husband passed away. 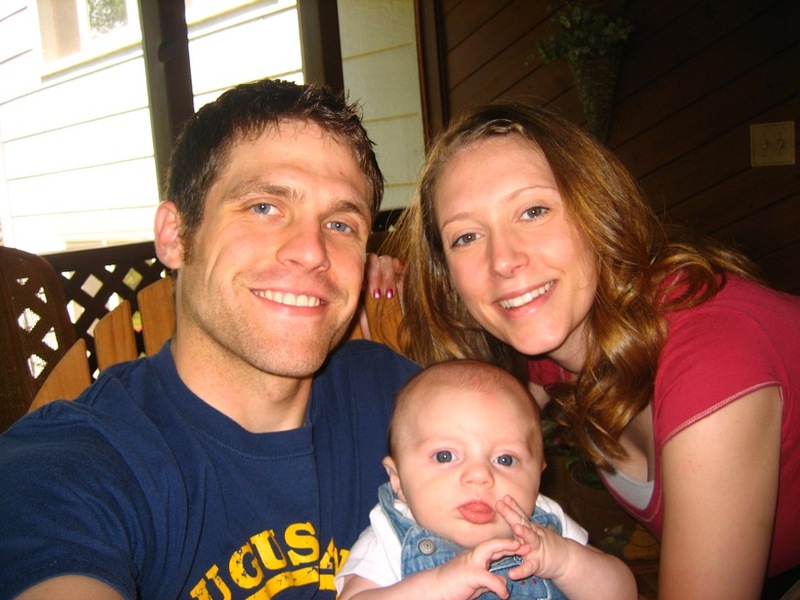 I was on maternity leave with my third baby boy when it happened. Know that so many are thinking and praying for you still. That baby of yours is simply amazing! Keep the faith! Hello, this coming Sunday, July 31, will be the first anniversary of the passing of my husband Jim from melanoma, at the ripe old age of 46. I had spent the best part of this past weekend in bed, crying. Today I opened my mailbox to find that I was this month’s grant recipient, I had forgotten I had even applied! (post-death fog, you know). It brought a smile to the face of a very sad lady. Wonderful organization, wonderful people, thank you, thank you! 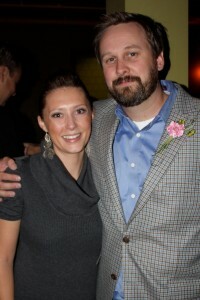 Hi my name is lisa…I recently lost my husband in a tragic car accident on November 22nd 2011 two days before thanksgiving and only shy of a month after our daughters 1st birthday.mark and I been together for almost 14years I’m 31 and he was 37 and we struggled for the firat 7 years of our marrige to have a child and finally with some help conceived this perfect little girl gemma Elizabeth she was a month earlie but was only in n.I.c.u for 5 days.She changed my husband so much she was the apple of his eye he was ao excited to have a baby girl why so she would be daddys little girl.ill mever forget on that morning my husband always came into the bedroom to kiss me and tell me he loves me and to say goodbye he will call me when he gets to his first job then to receive a phone call only 20 mins later that he had been in a accident and ro go to tje hospital and see the doc and priest come in to tell me my husband had died.I went into shock I’m still in shock my life my my best friend my strong man the father of our daughter is gone and I’m left with nothing.he was the love of my lifehes all I have known since I was 18 and was thw sole provider in our family since gemma was born he wanted me to stay home amd take care of her.now I’m lost my life all I live for right now is my daughter yeah I have family and friends but its not the same.and on top of laying my husband to rest all of the other things are happing now from bills to taxa to loaing the house water heat…yeah I have some help but help only goes so far…I don’t know what to do I just want to be left alone to grieve my loss with my daughter but I have a million things I’m doing in my own. This is a wonderful website for young widows and widowers to come for hope. I didn’t have anything like it when I was going through this 17 years ago as a young widow. Such a devastating time in our lives, that it’s nice to know there are others that know how we feel! I am 14 years old. I read this story, and Two Kisses For Maddy, and cried. and cried. and cried. The things that some people go through, it’s unimaginable. My family has been homeless before, and yet, this story still gives me chills. All I can say is, everything gets better.